Kino Flo’s new innovative Celeb 200 is a soft, cool LED ideally suited for today’s growing demands for energy efficient, portable, yet color-correct LED lighting. The Celeb joins the family of Academy Award-winning Kino Flo lighting systems. 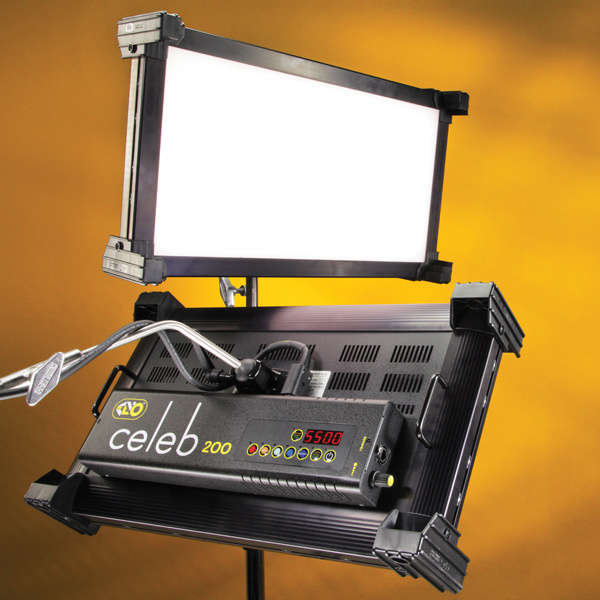 The Celeb was developed using the latest technology to conform to Kino Flo’s highest standards – cool, color-correct, flicker-free and dead quiet, which is what sets the Celeb apart from all other LED’s.